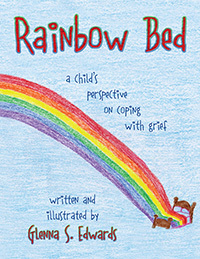 Rainbow Bed: a child’s perspective on coping with grief – A children’s book about one of the toughest topics families face with young children. An EVVY Competition Merit Book award winner from the Colorado Independent Publishers Association. Mr. Emotions & Friends – Curriculum for preK-3rd grade. 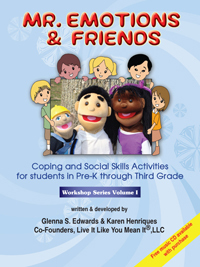 Teaches appropriate social and coping skills and helps students practice those skills with the help of puppets. Named a quality and effective practice by Ohio Mental Health for School Success Network . An EVVY Second Place Award Winner from the Colorado Independent Publishers Association.